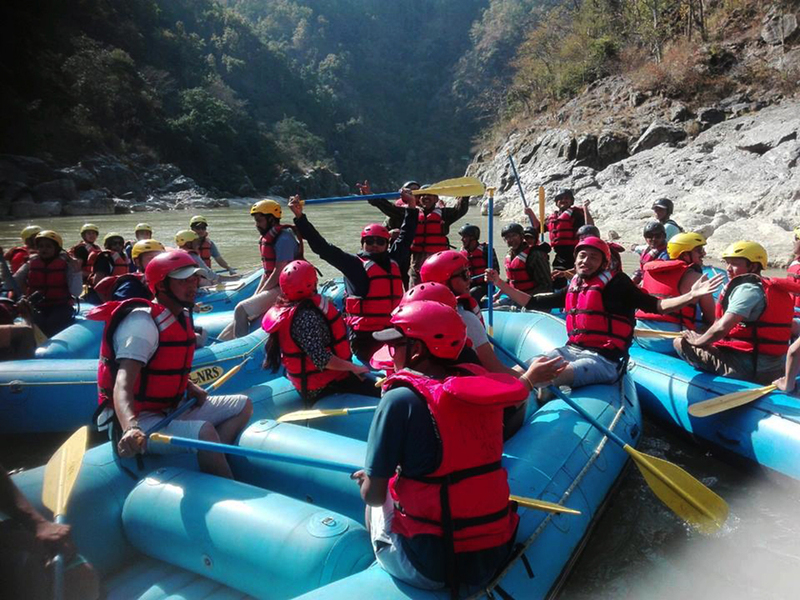 KATHMANDU, March 6: The 'World's First Tourism Rafting Riding Musical Concert-2017' organised at Trisuli has been concluded on March 4. 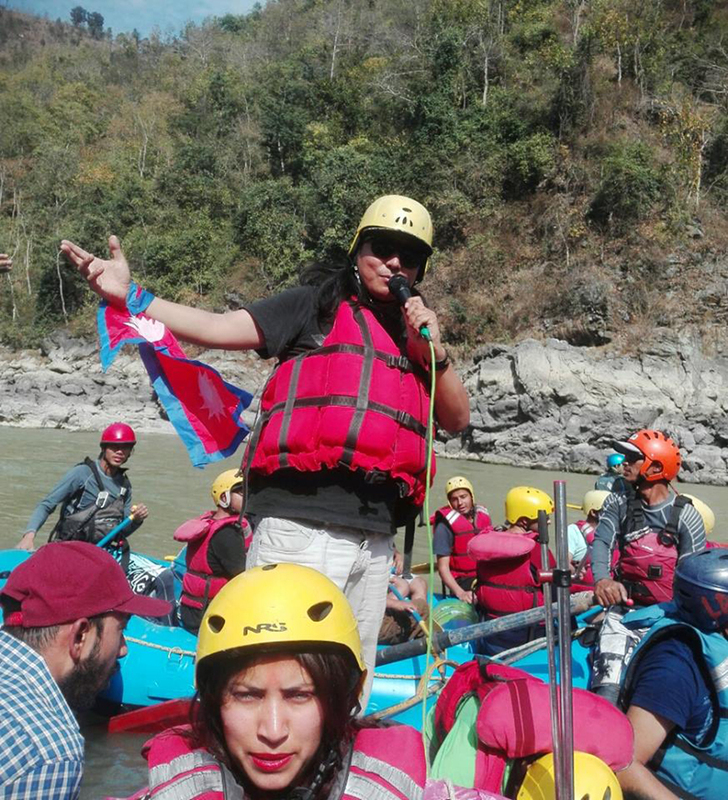 The event was organised by Everestline Entertainment and Music Mountaineering Culture Expedition Nepal with collaboration of Nepal Association of Rafting Agency (NARA). Nepal Khadya Bank of Nuwakot supported the event. According to the organiser, the event was held in a bid to promote tourism of Nepal and set Guinness Book of Records through music. The organiser informed that there was participation of various singers in the event including Dhiraj Rai, Bijay Lama, Insu Rai, Manisha Pokharel, Tarzan Limbu, Bal Kumar Shrestha, musician Rekha Poudel, Model Kasish Dahal and Dj Bimal. As per the organiser, the event with slogan 'Music for Tourism' had journey of five kilometers from Fishling to Chauradi of Trisuli. There was participation of 76 visitors in the program, informed the organiser.